Celkon on Wednesday unveiled the company latest Android 4.4 KitKat Smartphone, the Celkon Q40+. The device has been listed on company official website without any pricing and availability details. 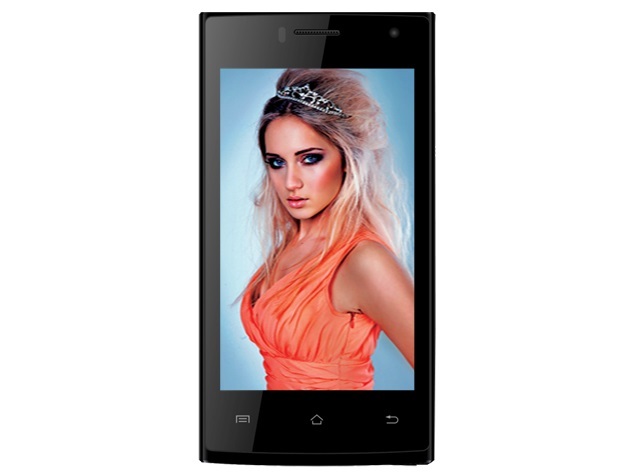 Earlier company launched the Campus A354C Android 4.4 Smartphone and also listed the A352E mobile phone in its website. It is expected that the company will soon launching this Android Smartphone’s in the next coming days. The new Android 4.4 KitKat Smartphone will join the club of other devices running on Android 4.4 namely the Celkon Campus A15K, Signature Two A500, Millennium Elite Q470, Millennium Power Q3000, Millennium Vogue Q455, Campus Mini A350, Millennium Dazzle Q44, and the Campus A35K. As per the company listing, the Celkon Q40+ features a 4-inch WVGA IPS with 480×800 pixels resolutions and is powered with 1.3GHz Quad Core (unspecified chipset) processor. It has 1GB of RAM and runs on Android 4.4.2 KitKat out of the box. The Smartphone has 8GB of inbuilt memory which can be further expandable up to 32GB with microSD card. The Celkon Q40+ sports a 5 MP rear camera with LED Flash, while there are no details regarding secondary camera of the device. The wireless connectivity of the mobile phone includes 3G, GPRS/ EDGE, Wi-Fi 802.11 b/g/n, Micro-USB, and Bluetooth. The Q40+ measures dimensions of 125.5×64.7×9.6mm and weighs 109.3 grams. It packs with 1500mAh battery on the back with no word on talk time and standby time. There are no details available regarding price and availability of Celkon Q40+.